Trying to buy a home with bad credit is hard. But what about trying to buy a home with no credit at all? There’s a name for these people: “credit invisibles.” It means they don’t have a credit report or score on file with the three major credit bureaus (Equifax, Experian, and TransUnion), usually because they don’t have a traditional credit trail such as a credit card or college loan. Far from being anomalies lurking on the fringes of society, credit invisibles are shockingly common. According to a recent report by the Consumer Financial Protection Bureau, roughly 45 million Americans are characterized as credit invisible. Meanwhile, 19.4 million are known by another equally ominous label: “credit unscorable.” That means they have some credit history, but not enough to generate a score. For example, they might have had credit cards or loans at one point but then stopped, usually due to financial difficulties. Typically, invisibles and unscorables face a tough road if they want to buy a home, because mortgage lenders are reluctant to fork over money to individuals with no traditional track record of paying back debts. But hope has arrived for these credit-challenged folks: A growing number of lenders are using alternative credit-scoring methods to assess a home buyer’s creditworthiness for a home loan—which means that many who have been shut out of the home-buying game so far might now have a shot. 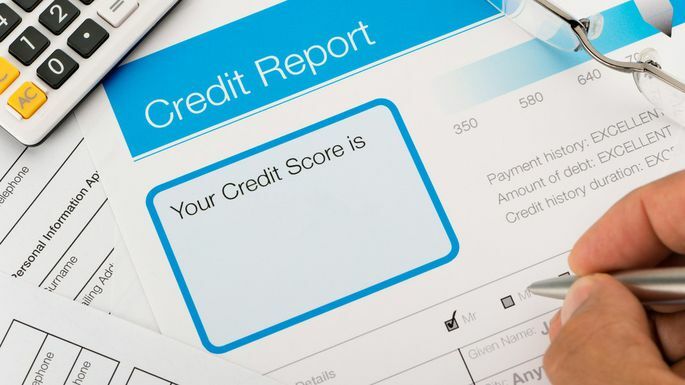 Not surprisingly, people without credit scores on file at the main three bureaus—which factor in data about credit cards and college and auto loans—typically have low incomes and, as a result, often lack the means to purchase property. Almost 30% of consumers in low-income neighborhoods are credit invisible, and an additional 15% are unscorable. Typically, these mortgage lenders require borrowers to have at least four alternative credit trade lines—meaning you’ll need to show proof of on-time payment history in these areas. If you do, you could qualify for a mortgage without a traditional credit score or report. One reason more lenders are using alternative credit scoring is because the Fair Isaac Corp., creator of the widely used FICO credit score, recently introduced the FICO Score XD, a credit-scoring method that’s based on alternative data sources such as cellphone and cable payments. FICO created this score to “give issuers a second opportunity to assess otherwise unscorable consumers,” its website says. Meanwhile, the three main credit-reporting agencies have begun broadening their scoring methods for lenders as well. In particular, their VantageScore system includes rent and utility payments. Furthermore, some mortgage lenders have created their own alternative credit-scoring models to assess home buyers. PNC Mortgage, for example, will look at monthly payment obligations that don’t necessarily show up on a person’s credit report, says Staci Titsworth, a regional manager at PNC Mortgage in Pittsburgh. But there are often caveats to this new approach. With PNC, for instance, the bank will establish credit history using alternative sources only for borrowers who are applying for an FHA loan. Yet some mortgage lenders—like smaller banks and credit unions—will use nontraditional credit-scoring methods for conventional loan borrowers as well. Bottom line: Qualifying for a home loan when you have little or no credit history can be difficult, but it’s doable today. Freddie Mac, however, requires lenders to directly verify timely payments using canceled checks, receipts, or written verification from a professional property manager. And while these home buyers might have to shop around for the right lender, that process could become easier in the next few years if this approach becomes more popular. Your best bet is to shop online for lenders or meet with a mortgage broker, who can assess your credit situation and help you find a lender who’ll play ball. Basically, while it might be hard, a no credit mortgage is doable with the help of proper verification and a mortgage broker. That is quite new to me as I would have never thought of it as a possibility. It’s a method that surely will be of great help for those who are struggling to start their lives, such as newly graduated students or new hire employees who got hitched too early. I’ll try to read more about these homes no credit thing and see if my son would be able to make use of it in the future. Thanks!